If you want your classic car restored, you have found the right place. 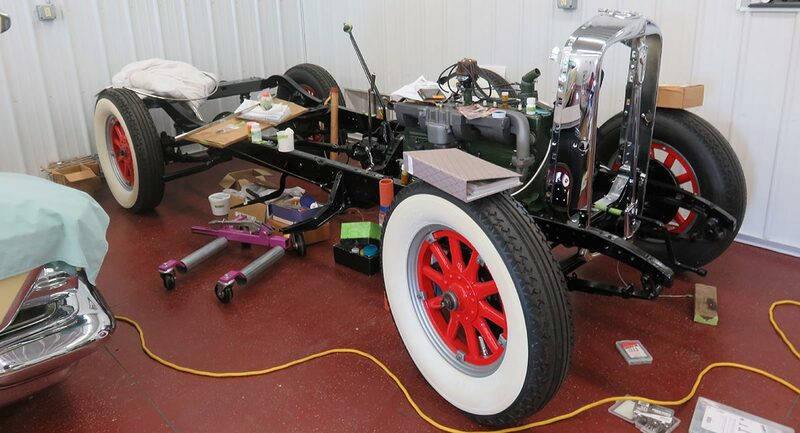 We do full-frame restorations all the way down to oil changes on those classic cars. Give us a call to discuss your specific needs. Click here to learn more about our Auto Restoration services! In the shop there is always a car being worked on... or many other projects going on! We would be very happy to add your car, truck or other vehicle to our shop. Click here to learn more about our Auto Maintenance Services! Our woodworking services are a specialty that we take great pride in. We can restore your old, battered tables, chairs and much more. Give us a call to discuss your specific needs. Click here to learn more about our Woodworking services! If you want your classic car restored, you have found the right place. At Anderson Restoration LC, we do full-frame restorations all the way down to oil changes on those classic cars, but please check out the Services section for full details. For example, we resored a 1894 Silsby Fourth Size Horse Drawn Steam Pumper several years ago. Recently, it was sold on auction at the Antique Automobile Club of America's Annual Fall Meet/Swap Meet in Hershey, PA. on Oct. 11, 2012 through RM Auction for $396,000.00. What started out in 1969 as a hobby has become a nationally recognized business. 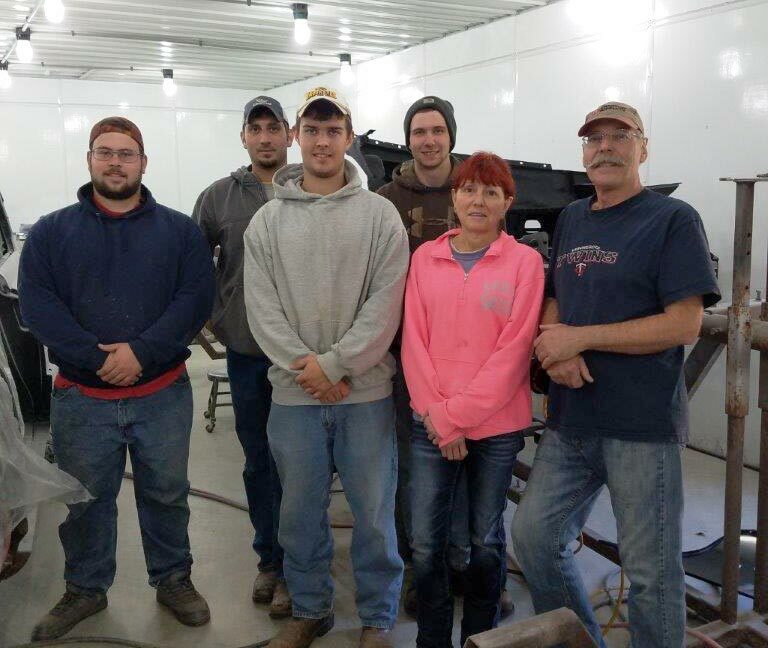 Anderson Restoration LC is owned and operated by Les & Vicky Anderson of small town Iowa. Besides loving what we do we also have many animals to share our attention with as well as the view we enjoy. Our satisfied customers come from across the United States: Alaska, Washington, Iowa, California, Alabama, and Indiana just to name a few. We will work on your car, but we do NOT transport cars, due to liability issues. Besides restoring cars, we also take them around the country showing them off. Many have won awards. With all this going on we still like to give tours of our facilities. Please make an appointment with us.